Howard Litton, MD and senior VP of Nickelodeon UK, is stepping down after 15 years with the company. Litton played a key role in transforming Nickelodeon's UK business from a single channel operation to its present network of six. He also championed kids series such as Fifi and the Flowertots, Peppa Pig and Ben & Holly's Little Kingdom. He is leaving to pursue "personal projects and new opportunities in international media" and will be replaced in the interim by Steve Grieder, executive VP of Nickelodeon International and programme sales for MTV Networks (MTVN) International, till a permanent MD is found. "I've had an amazing time at Nickelodeon UK, but after 15 years of fun and hard work at the best kids' entertainment brand in the UK, it's time for a change and for new challenges," said Litton in a statement. He added that he had some exciting projects in the pipeline but would be spending several months with his wife and children first. "I'm deeply grateful to Howard for his immeasurable contributions to Nickelodeon and to MTVN," said David Lynn, executive VP and MD of MTVN UK, Ireland and Australia. "The impact of Howard's passion, creativity and commitment will be seen for years to come." Litton joined Nickelodeon as acquisitions manager in 1995 and was promoted to director of programmes two years later. He became MD of Nickelodeon UK in April 2007. The business is a joint venture between MTVN and BSkyB. Departing Nickelodeon UK boss Howard Litton is eyeing a move into the production side of the business following his exit from the kids broadcaster. However, he told TBIvision that he has no immediate plans and expects to start looking at new projects from the summer. Litton, who has worked at Nickelodeon for 15 years, announced yesterday that he was leaving the channel, which a joint venture between MTV Networks and satellite pay TV operator BSkyB. "I wondered if I had the nerve to go out at the top. We had a record-breaking year last year so it was the right time to go. It is a scary time to leave Nickelodeon but I need to try a few projects. I'm probably looking to get back to the creative root. It's more likely that I'll do a bunch of projects for a bunch of different people," he told TBIvision. 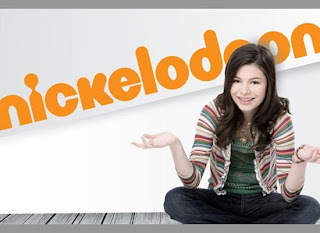 He also ruled out a move to one of Nickelodeon's rivals including Disney or Cartoon Network. "I didn't want to leave this job and move straight into another corporate job. You won't see me working at Cartoon Network or Disney any time soon," he said. Litton, who has two little kids, plans to spend time at home and is also hoping to move into the world of publishing. "I've always wanted to try my hand at writing kids books," he added. The broadcaster has had a successful few years with its preschool net Nick Jr winning the BAFTA for Children's Channel of the Year last year. Litton pointed to shows including Peppa Pig and Roary The Racing Car and factual strand Nick News as his proudest achievements at the company.